Prayers for Breaking the Power of Curses So You Can Walk in God's Promises. Is your life marked by constant setbacks? Does it seem like you can't ever obtain God's blessing? You could be living under a curse. Eckhardt identifies areas of our lives where Satan can attack and attach evil to us; then offers biblically based declarations and sentence prayers that will help break the power of the enemy. 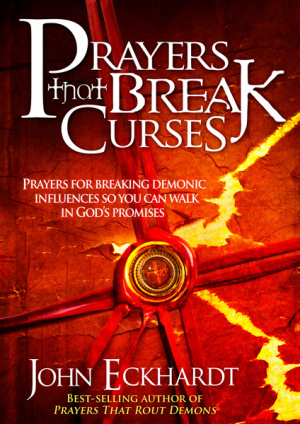 Prayers That Break Curses by John Eckhardt was published by Charisma House in December 2009 and is our 16259th best seller. 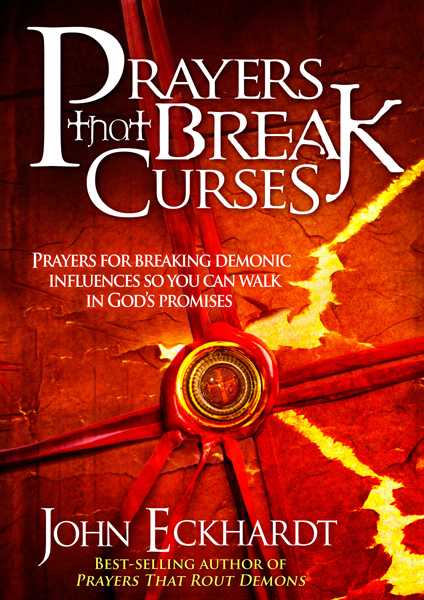 The ISBN for Prayers That Break Curses is 9781599799445. Be the first to review Prayers That Break Curses! Got a question? No problem! Just click here to ask us about Prayers That Break Curses.